Whether your neighbor has the observational skills to understudy at the FBI, or you want to put the finishing touch on your backyard getaway, a privacy fence does the dual job of looking great and providing a sense of security. Since you’ll rely on your fence for a long time (and since you’ll see it practically every day), you want a beautiful fence you’ll love for years to come. Explore some privacy fence ideas to help you find the one that fits your outdoor style – and your budget! 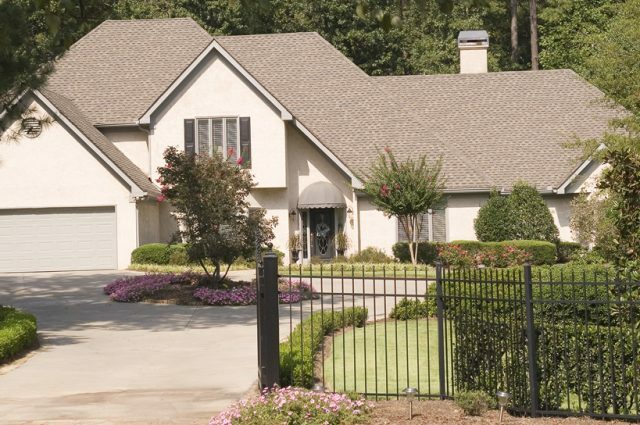 At Smucker Fencing, we have years of experience working with homeowners to select and install the fences they rely on for safety, privacy, and style. Read our blog to discover privacy fence ideas that you’ll love, including some affordable fencing ideas, while taking inspiration from our stunning fence photos. All of the privacy fences we install are more than capable of doing the job, so your decision will be based on style, convenience, and outdoor aesthetic. We break down the decision for you – complete with fence photos and options for affordable privacy fence ideas. Learn more about other outdoor privacy solutions. One of the tried-and-true affordable privacy fence ideas, these red cedar options are tall and have a striking and rustic look. 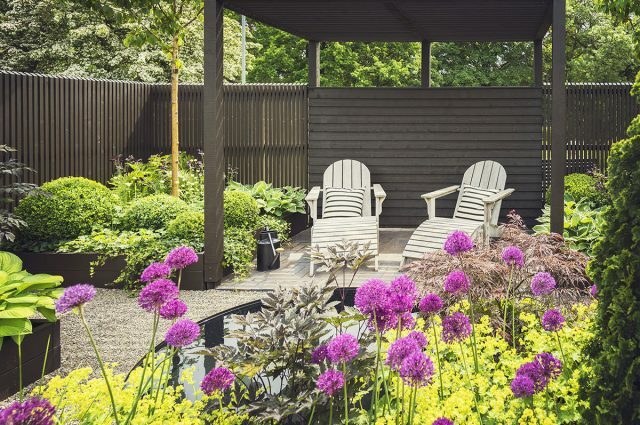 These fences are fantastic for complementing the outdoor style of more traditional or classic properties – and look gorgeous on a wooded property. Price Point: The best option for homeowners looking for inexpensive or cheap privacy fence ideas, these fences keep you on-budget while looking upscale. Color Options: You can stain the red cedar a variety of different stains and hues, but the most popular color choices are ones that bring out the natural look of the wood species. Maintenance Needs: Unlike the other maintenance-free fencing options we offer, this fence will require yearly maintenance to deter mold and rot. Learn more about wooden fence maintenance. Lifespan: Since wood is a fully natural product, it will eventually breakdown. Even with proper maintenance, the durable cedar wood can’t last as long as other resilient materials. Quite possibly the most popular privacy fence option on this list, vinyl fences shut out nosy neighbors while creating a clean backyard style. 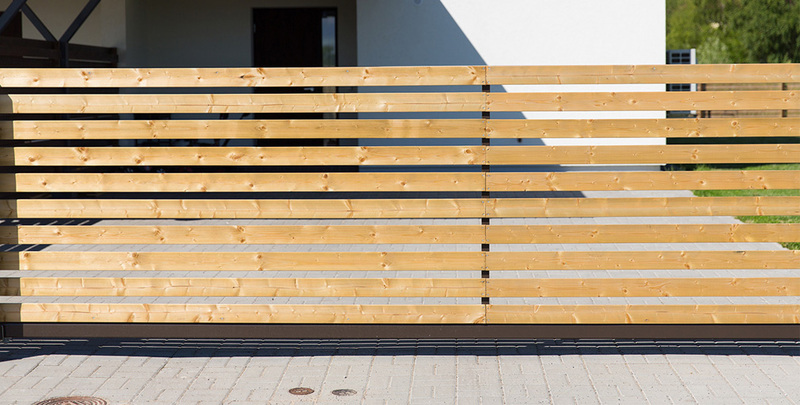 These versatile fences can accompany both contemporary designs as well as more traditional ones. Price Point: Vinyl fences generally sit in the middle of the price scale, more expensive than wooden but less expensive than aluminum. While not exactly a cheap privacy fence idea, there is some savings to be had when selecting this type of fence. Color Options: While bright white is the most popular color of vinyl privacy fences, both tan, khaki and other colors are also available. Maintenance Needs: Vinyl fences are definitely considered a low-maintenance option as they naturally repel mold, mildew, and rot on their own. The only maintenance you’ll need to perform is to clean the light colored panels from time to time. Lifespan: Since our vinyl fences are built extremely durable and resist the damage that can undermine wooden fences, you can expect your vinyl fence to last multiple decades. The deluxe vinyl privacy fence idea, aluminum privacy fencing is a new product centered on its distinct style. These exciting privacy fences set vinyl panels in a sleek aluminum frame. This type of privacy fence is most often seen as a stylish accent in upscale neighborhoods. Price Point: The most expensive of the privacy fences we install – bar none. However, aluminum looks stunning, has a long lifespan, and requires practically no maintenance. Color Options: The color options are quite varied as homeowners can select different colors for both the aluminum frame as well as the vinyl panel. Maintenance Needs: Since this fence is made of two highly resilient materials, the maintenance required is practically non-existent. Durability: Once again, since this fence is composed of two ultra-durable and long-lasting materials, the lifespan is quite impressive. The wild (get it?) card when it comes to privacy fence ideas. Some homeowners would rather plant a barrier than build one and it can be highly-effective. Two of the most popular plants to grow as your living privacy fence are bamboo and shrubbery. However, you’ll have to wait a long while until the plants are tall enough to help you feel secluded. Price Point: Definitely an innovative option for those looking for affordable privacy fence ideas. You should be able to get started at a nearby garden center. Color Options: Depends on what you choose to plant, but we’d guess…green, mostly. 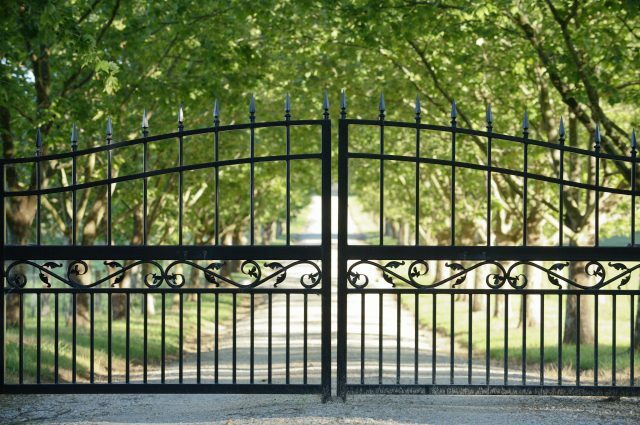 Maintenance Needs: It’s safe to say that the living privacy fence options rival aluminum and vinyl for their low-maintenance advantages. Durability: How much of a green thumb are you? Making sure this fence keeps you secure is more of a matter of keeping your plants alive and healthy. At Smucker Fencing, we’re dedicated to bringing your privacy fence ideas to life – in the way that meets your style and budget. Whether you want to choose one of the more affordable privacy fence ideas or you want to embrace an upscale style with aluminum, we’re the team to help. Contact us to start the conversation and for your free fence quote.